I knew a couple once who packed extensively as they waited eagerly for the call. They filled three large suitcases with baby clothes, diapers, and enough clothes for themselves to last a good six months. Then they placed their stuffed suitcases by their front door “because we might not have time to run up to the bedroom to get them”. The suitcases remained there for several weeks, but eventually the call did come and the eager parents were on their way. They flew to an airport in a distant state, rented a Toyota Camry only to discover that their bags would not fit in this mid-sized car. It was late at night and the rental car place had closed. The good news is that there was a Target right across from their hotel, and the following morning they could replace the things they had to leave in the airport parking lot. And this cautionary tale has an even happier ending: the adoption went well, and the baby girl at the center of this packing drama is now a sophomore in college. I always give my clients the same advice: there are two things you need, and everything else is optional. In the arena of need, a pediatrician comes first and foremost. There are lots of wonderful pediatricians and most of you will have several to choose from, but you don’t want to be making that decision when you are on your way to pick up your baby. What you want to be able to do when you are traveling to get your baby is to call your pediatrician’s office and schedule a first appointment. That will be much simpler if you have already signed on with the practice. The second thing that adopting parents need is a car seat. 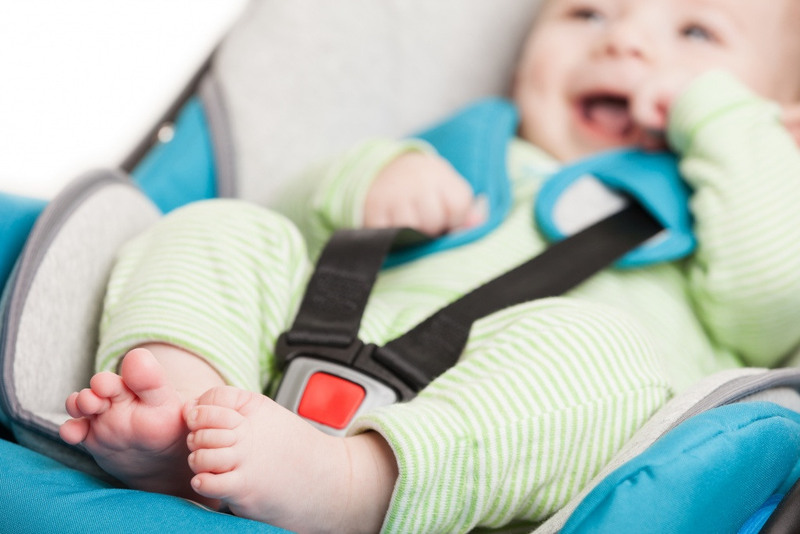 Everyone needs a car seat and, as with a pediatrician, a car seat is not something you want to leave for the last minute. For one thing, there are so many styles to choose from these days and for another, you can’t just “plop” an infant car seat in your car—it needs to be installed by someone with at least a PhD in mechanical engineering. Ok, I exaggerate, but really, truly it is not so easy getting a car seat safely in your car. “That’s all?” you ask. “Just a pediatrician and a car seat? Isn’t there so much more we should be doing as we wait to welcome our baby?” The answer is “yes” and “no”. Surely there is a lot more baby stuff that you will need when you are a parent. You will need diapers. You will need clothes. You will need a crib and a nursery. The question is whether you want to get everything ready in advance or wait until your baby arrives. This decision is a matter of personality. If you are like me—and it has been over 35 years since we adopted with no preparation—it will make you “crazy” walking past an empty nursery for weeks or months and you’d probably just as soon avoid having any baby stuff in your house. It will make you feel uncomfortable and you may fear you will “jinx” yourself. Or you may approach adoption preparation in a very different way—not exactly as super charged as my former clients but more in the “let’s prepare” mode. You may be thinking as you read this that setting up a nursery and having things on hand will serve as a helpful and hopeful reminder that your baby will come. You may feel that not “getting ready” just makes you different from other expectant parents, and you may see preparation as a way of “normalizing” your situation. Yes, you are expectant parents and you want to act the part. I believe that one of the very best ways you can prepare for your baby’s arrival is to take some time now for yourself and for your marriage. I know this must sound like crazy advice since you have probably been wanting and waiting for a baby for a long time. Whether you can believe it now or not, your baby will come, and when he or she bursts on the scene, you will be busy and tired—and you will crave moments for yourself and/or with your partner. Take them now. I think you will look back with gratitude, clear that time for yourself helped ready you even more for time with your baby.